* not available in our wine cellar tasting. Available only in Internet sales. 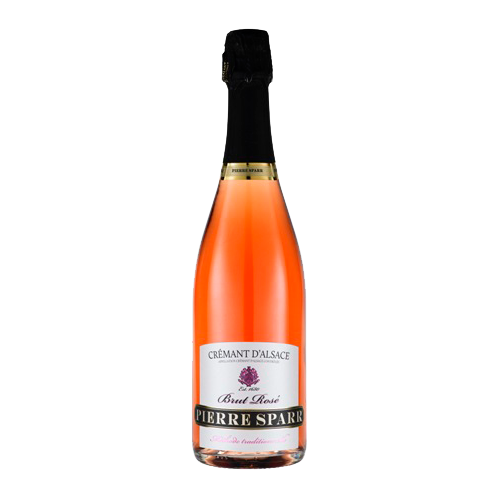 The Crémant Rosé brut shines in a bright salmon colour, with fine sparkles bubbling in the glass. 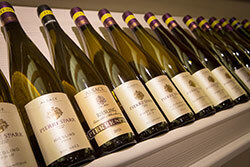 The first aromas remember lemon peel, strawberry jam and white pepper, together with crispy mineral notes. After a while, the wine opens up to an aromatic of apricots and strawberries. On the palate overall pleasant and harmonious balanced between strong body, extract and fresh fruit-acid, which is well supported by a tasty hint soft tannins. 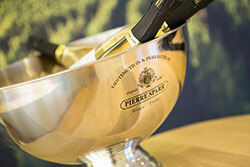 Powerfull crémant emphasizes with great talent for an ideal barbeque-companion and marvelous for warm summer evenings. Alcohol vol. : 12% alc./vol.